Why Do People Spend More Money Than They Earn? Some believe Americans have a YOLO problem. The term, which is short for “you only live once”, has become quite popular. It is so popular that #YOLO is a searchable keyword on Facebook and Twitter. Many Americans believe in retail therapy. Shopping allows people to visualize themselves dressed in nice clothes or surrounded by nice things. Keeping up with others, lack of knowledge, along with poor financial decision-making, are other reasons you hear as to why people spend more than they earn. For many Americans this spend, spend, spend mentality results in more debt, no emergency fund and saving much too little for everyday living. In addition, Americans are having difficulty saving for the big ticket items: College, Home and Retirement. 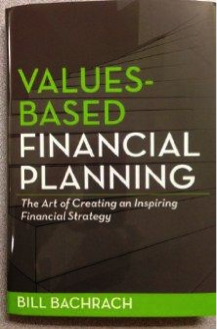 Many financial planners will tell you to begin your planning on the spending side. Evaluate where your money goes day in and day out. Once you have determined how you live, compare the result to your income. If there is a shortfall, you have two choices: you must either increase your income or decrease your spending. You can increase your income by asking for a raise, changing jobs, changing occupations, getting a second job, or finding some other creative way to increase cash inflows. A change in your living standards may be necessary to decrease your spending. You may need to move to a less expensive place to live or find a cheaper form of transportation. Bringing your lunch to work rather than going out can reduce your spending. Cooking more dinners at home, rather than going to restaurants quite so often is another way to save. You should closely review where you’re spending your money and think of ways to reduce that spending. One guideline used by certain financial planners for spending is the 50/20/30 rule of thumb. Those planners suggest that 50% of your take-home pay should go to fixed costs such as your mortgage, utilities, car payments, and anything else which you are committed to paying regularly. 20% of your take-home pay should go to savings for retirement, an emergency fund, or a new home. 30% of your take-home pay is for flexible spending, for things like groceries, eating out, hobbies, entertainment, and gas. If you continue along on the same path and make no adjustment to your income or spending, you will soon find yourself in financial trouble. Indicators that you are in financial trouble include: no emergency savings, borrowing to pay your normal expenses, making minimum monthly payments on outstanding debt, no longer saving for the big ticket items, a declining credit score or denial of credit and no health insurance. When our news media discusses the federal deficit they are usually reporting on the current year’s budget shortfall. The term they use is deficit spending, which is when government spending exceeds government revenue. The accumulated deficit is a result of years of deficit spending. The accumulated deficit is financed by incurring debt. The $15.3+ trillion due to the public and $5.7+ trillion of intragovernmental holdings is what makes up our approximate $21 trillion in national debt. Gross domestic product (GDP) is the total value of everything produced by all the people and companies in the United States. Nominal GDP is the real value of everything produced. Real GDP accounts for the effects of inflation which allows comparison of economic output from one year to the next. The debt-to-GDP ratio is the ratio of a country’s public debt to its GDP. By comparing what a country owes to what it produces, the debt-to-GDP ratio indicates the country’s ability to pay back its debt. The United States recorded a government debt equivalent to 105.40 percent of the country’s Gross Domestic Product in 2017. Government Debt to GDP in the United States averaged 61.70 percent from 1940 until 2017, reaching an all time high of 118.90 percent in 1946 and a record low of 31.70 percent in 1981. So, it looks like our debt to GDP ratio is currently at the very high end of where is has been for the last 75 years. Government debt in recent years has been fueled by an increase in government spending. Many economists would argue that an increase in government spending stimulates economic growth and results in an increase in GDP. Although that might be true at some point, the increased debt and related debt service becomes a drag on the economy. Why Does The United States Spend More Money Than We Have? Our government’s annual deficits occur when spending is in excess of tax receipts. When that occurs, the government borrows money and increases the national debt. This has happened for many years and that is why the national debt is in excess of $21 trillion. The vast majority of spending is on human service programs; whether it be Social Security, Medicare or veterans’ benefits. National defense is the next largest cash outlay. There are many things to consider – here are a few. To balance the budget, the government can increase tax revenue (either by increasing rates or expanding the tax base), decrease expenses, or both. However, our democratic system of government has its weaknesses. If a representative votes for a tax increase or a reduction in a program near and dear to the hearts of constituents, it is likely the representative will not get reelected. Therefore, to help balance a budget, representatives must vote for what is good for the country as a whole, not just for a certain segment of the electorate. We must elect representatives who have the “backbone” to do the right thing. Can We Expect Our Citizens to be Fiscally Responsible If Our Government Continues to Spend, Spend, Spend? The United States Government has the ability to borrow, borrow, borrow; our citizens do not. However, our government, which in many cases receives the largest payments from our citizens in the form of taxes, continues to first use our hard earned dollars and then borrows more. Americans do not have the luxury to spend and borrow at will. The example set by our government is not a good one. This is especially true because financial literacy is a real concern in the United States. Financial literacy refers to individuals making informed judgments and effective decisions about managing their money. 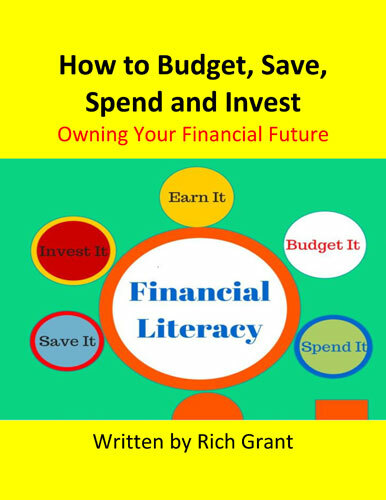 Financial illiteracy is a huge problem, affecting both individuals and businesses. A 2013 FINRA Investor Education Foundation Survey of approximately 25,000 adults found that 56% of adults do not have three months’ worth of expenses saved up in case of an emergency; 34% make only the minimum credit card payment; and 61% could only answer three or fewer questions on a five-question quiz about financial literacy. If that is not troubling enough, our citizens believe they are more literate than they actually are. It should be no surprise that many Americans are in financial trouble. It is also no surprise that our country must turn the annual deficits positive and begin to pay down our enormous debt burden. Both problems need to be fixed. In our democratic society, if we don’t like what our elected officials do, we can vote them out. However, that is not totally in the hands of each one of us. Our own financially literacy is in our hands. If you need help in understanding how to improve your own financial situation, there are many resources to help. 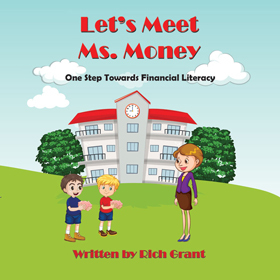 Whether it be friends and family, books, children’s books, webinars, or financial advisors, adequate resources exist to improve the financial literacy of Americans. For both our country and our citizens to become more fiscally responsible, we need knowledge, desire and discipline. Do you think if our government was more fiscally responsible, our citizens would be too?